We work closely with other educational institutions. Primarily these are universities in order to encourage our students to continue their education once they leave our program. We want to see all our students succeed and with these partners we can help in connecting students. 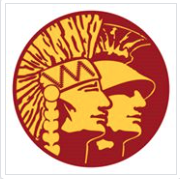 A student based union of Native American USC students. They actively represent Native American people at USC and have been very active in the community. They volunteer for events and support other organizations and groups through the university. For more information of contact please visit their Facebook Page.